Beever's self-proclaimed best-known drawing is his "Swimming-pool on High Street." "My art is for anybody. It's for people who wouldn't go into an art gallery. 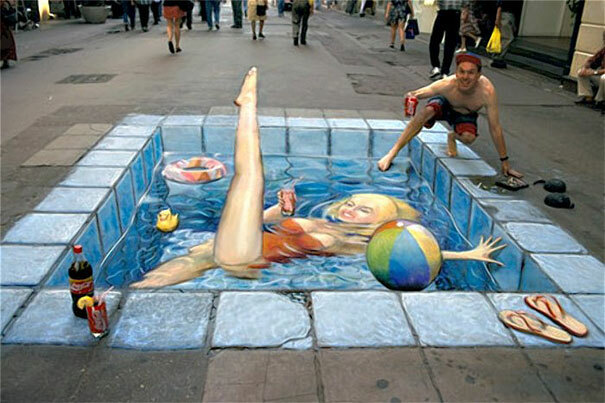 It's art for the people," explained Beever, when asked why he prefers the pavement to more traditional artistic mediums.